Sahara along with Dansk Indisk Bornehjaelp Denmark gave our clients-60 women, 40 children,20 Men a Day of Joy and Beauty. 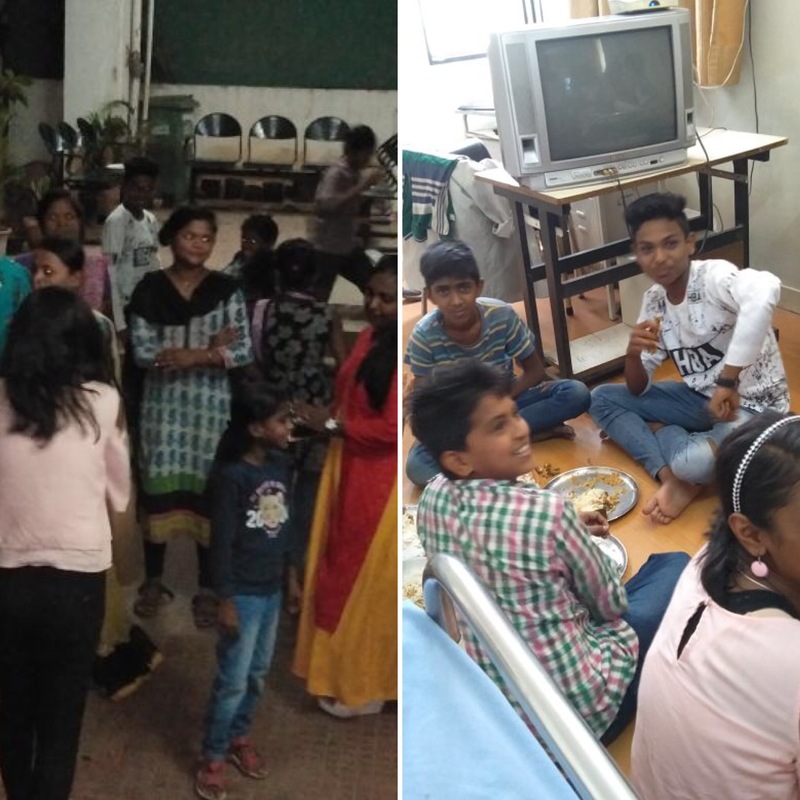 This day was a whole new experience, a stress-free day where their children were looked after, food was provided so that they didn’t have to cook lunch or dinner. Most of the women’s entire household or family are absolutely reliant on them to provide for their emotional needs, care when they fall ill, food on the table, education etc.. They are never able to think about tomorrow as their today is all that they exist for. When it comes to the women, most of these women put themselves last, in terms of nourishment, and care. They are extremely fatigued, and since the entire household is dependent on them, it is a luxury for them to be concerned about themselves. So, the day of joy allowed the children to just be children having fun together as a group, helping each other out, experiencing different types of games and sports which they have never done before, and the smiles on their faces and laughter coming from deep within was what it was all about. 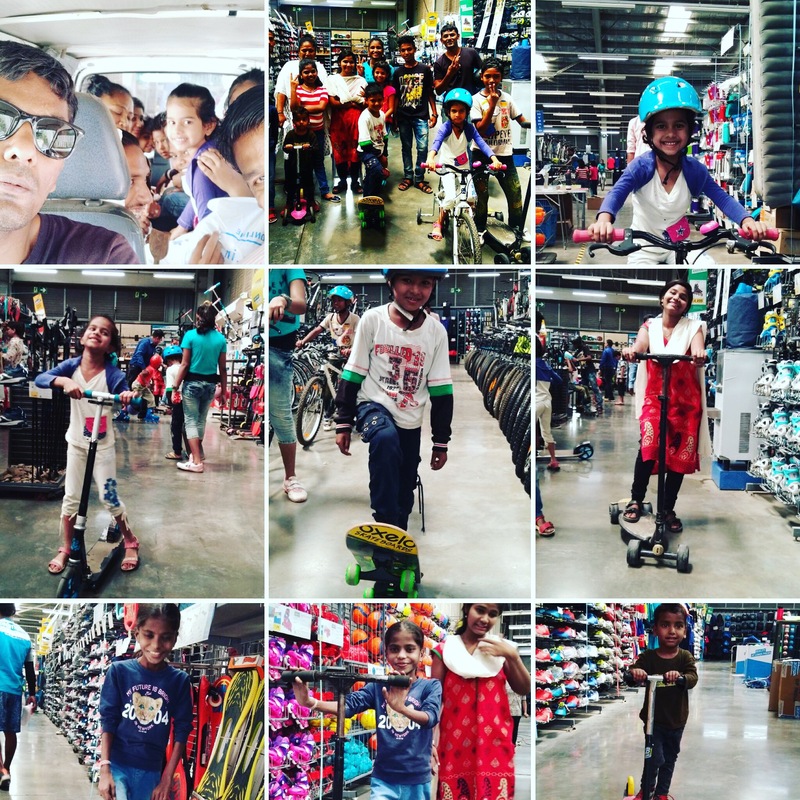 2 skate boards with helmets and 2 sets of protective gear were bought from Decathlon, where their staff offered to come to the care home and train the kids for free. Thereafter on Friday, the ambulance took the kids in lots and Decathlon granted access to cycles, skates, skateboards, roller boards, scooters. -50 Shampoos and 50 conditioner sachets were provided one day before so that people could wash their hair and come for the make-over. -Women were provided with hair styling with accessories, face cleaning, lipsticks, eye make-up, and nail polish. -Followed by coffee night with music and dancing and dinner for everyone. The expression of joy on their faces after the make-over was a wonderful and rewarding sight. This was a once in a lifetime experience for them.